Hey guys! Kari here, from Life PreKARIous! 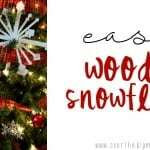 I am so excited to show you these super easy wooden snowflakes! 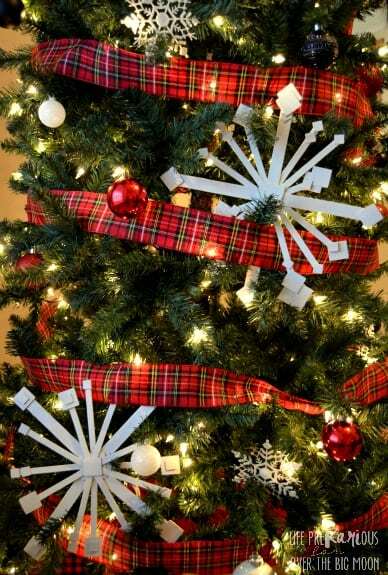 I’m a sucker for over sized ornaments, but they’re always so expensive! So, I decided to make my own. I found 2 sizes of craft sticks (a.k.a. 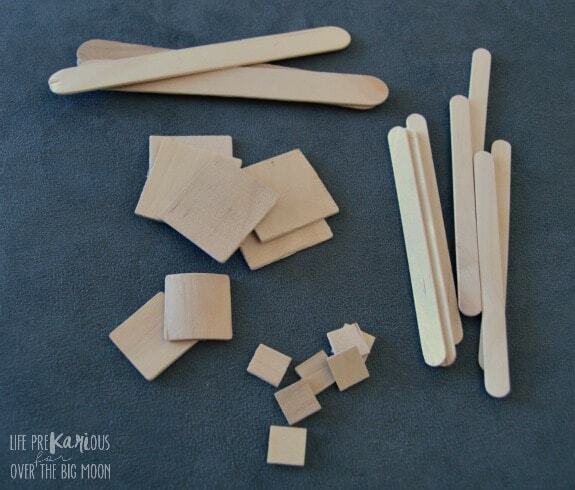 popsicle sticks) at the dollar store. The wooden squares I found at Hobby Lobby. I used hot glue to assemble them. 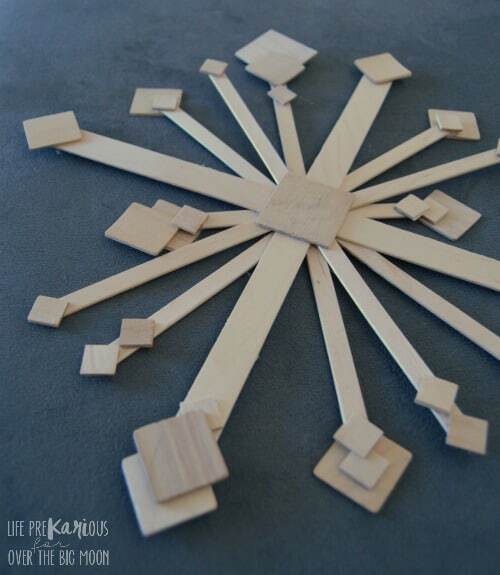 I started with one of the larger wooden squares in the middle and glued the craft sticks to it. Then, I added smaller squares to the opposite ends of the crafts sticks. I layered different sizes of the wooden squares in some places to give more dimension. To finish, I spray painted them white. Once they were done, I stuck them in my tree. They are big enough that they don’t need anything to hang them with. I just kind of stuck them in between the branches. I love how they turned out! 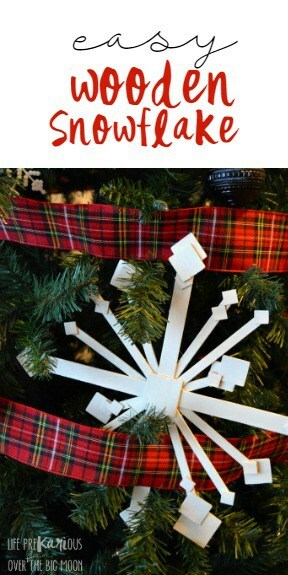 They will make a fun garland or front door hanger when I take my Christmas tree down, too! I love decor that can transition between holidays and seasons! Don’t you? Such a fun idea! I love that you could make different designs! Those are so fun! And yes, it’s nice to have decor that can be used in various seasons!